Back in 2007, about 81% of Americans admitted they would likely experiment with body tanning. However, only a handful of them would mention at least one of the best spray tan machine available today. Rocking a bronz﻿﻿e skin is something most of us would fancy but not actually get to doing it. We have come a long way from the days of sun tanning to what is now called spray tanning. Spray tan guns are quickly replacing the tanning lotions and tanning beds. 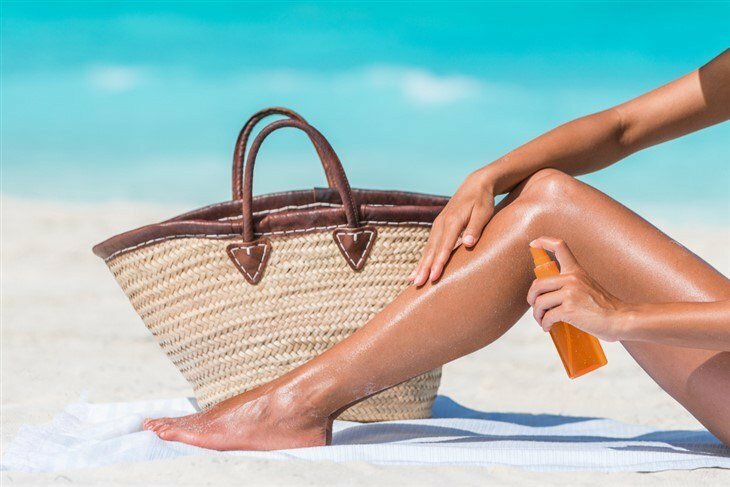 Why Spray Bronzing Is The Best? Spray tans have proven to be more beneficial than tanning beds or natural sunray tans. Spray tans are more flexible in application and can be customized to achieve instant and unique results. Moreover, they have a zero risk of causing melanoma and other skin conditions. There are many spray tanning machines on the market. The type of spray gun you decide to buy is determined by your tastes and preferences. However, it is important to consider various factors when buying a spray tan machine. Noise and mobility determine the ease of the use of a spray-tan machine. Loud and heavy spray tan guns are more suitable for commercial environments. Home spray guns are compact, lightweight, and barely audible while in operation.The weight of the spray tan gun affects its mobility. I personally go for the lighter spray tan machines that are easy to carry around in the house. In addition, the tanning spray gun should be compact enough to fit my travel bag or the vanity cabinet in my bathroom. The spray-tan machine's body should be engineered to make spray tanning easy. From experience, I would not advise anyone to buy the non-spray tan guns sold as alternatives. They do not produce the same uniform results.In addition, the spray gun nozzle should be able to release fine mists of tan. A poor quality nozzle constantly clogs up the spray gun. You may end up with inconsistent or blotchy results if you use a spray tan with a defunct nozzle. It is important to use a reliable spray tan gun. Always shop for notable brands, especially those with a good return policy. The last thing you need is poor customer service and a faulty spray tan gun that you cannot dispose of. The solvent used in the spray guns is a chemical called dihydroxyacetone DHA. When absorbed by the skin, it temporarily alters skin pigmentation to achieve a golden tan. This solvent is mild in nature and should wear off in 3 days or within a week. There are five types of spray tan machines on the market including the HVLP spray guns, the LVLP spray guns, airbrush gun machines, spray tan booths and organic spray tans. HVLP or high volume low-pressure spray tan guns are quite popular. They have a light body and heavy-duty construction. They are suitable for both residential and commercial application because they work very fast, produce an even tan, and allow hands-free control. The LVLP or low volume pressure spray gun is the complete opposite of the HVLP. They have powerful motors and fans and can be quite noisy. They also need a professional and skilled handler to evenly apply the tan. Because of the complexity in construction and application, the LVLP spray guns are only suitable for heavy-duty application. The airbrush spray gun was originally a tattooing machine before it was modified into a tan solvent emitter. They are quite similar to LVLP spray guns in construction but are less noisy. They also work faster, deliver better spray patterns, and will only take about 40 minutes to get a full body tan. Spray tan booths are designed to look like cubicles with multiple nozzles coming from every direction. Once a person gets inside, all the nozzle spray even tan mists that converge at the middle. This engulfs the person in a cloud of tan that settles on the body within 2 minutes. Organic spray guns are just tanning machines that use 100% organic tan solvents. They are quickly replacing conventional spray guns because they do not irritate the skin or cause rashes or dryness. It is also said that organic tan ﻿solution﻿s have therapeutic properties that repair damaged skin cells. The Maxi-mist sunless spray tan kit is designed for the budget conscious consumer. It is lightweight, portable and delivers a salon quality tan in just a few hours. It also has a portable carrying bag to take the spray gun with you wherever you go. This lite spray gun works with all locally sold spray tan solvents. The kit also includes a tough fabric tent to protect your environment from tan stains. The tent covers are available in pink and black colors. I like how I can switch from vertical to a horizontal flow while tanning. Maxi-mist also addressed the issue of clogging by adding a corrosion-resistant Teflon needle on the nozzle. The spray gun trigger is adjustable as well for that extra control on the spray patterns. Inside the spray gun is a solid build motor turbine that channels the tan solution through the nozzle. The solvent holder is shaped like a cone to apply enough pressure on the tan for a fine misty spray. This Maxi-mist Lite spray gun uses pure organic tan solution and is CE, ECAL and EU certified for home use. Adjusting spray patterns needs getting used to. Requires assistance when spraying unreachable areas. Components can get jammed up in the spray gun at times. For an elegantly designed spray tan kit like this one, I am overly surprised at how pocket-friendly it is. Special effort has been put on the handle and spray nozzle to make them as ergonomic as possible. I find this Black Fascination FX Spray tan kit quite easy to use; in fact, I believe it is suitable for both the amateur and experienced user. The turbine motor is precise and very quiet when in action. The nozzle is designed to last longer and emits fine tan mists to cover a wide area. An adjustable fluid control knob allows you to vary spray patterns. The Black Fascination FX spray gun can be operated in three varying speeds. A color indicator tells you your speed mode or if I am running out of tan. This spray gun comes with three tanning solutions from one of my favorite brands Norvell; Norvell Venetian spray, Norvell rapid development spray and Norvell pre-sunless pH-balanced spray. Additional accessories that come with the kit include a convenient portable bag, an 8-foot hose and a pop-up spatter-protection tent cover. I would say a lot of consideration was put into its construction. Every feature on this spray gun works together to make any tanning job easy and fast. The Black Fascination FX spray is a quality HVLP model. This means you will never worry about uneven spray patterns, a leaky spray gun nor your solvent getting wasted. In addition, you can tan away anytime without waking the neighbors. Pocket-friendly and great for carrying around. Delivers an even tan with minimal leaks and spotting. Solution may bubble up and spill over. Motor not strong enough compared to other models. Repeated spraying required for tan solvent to fully soak in. I can comfortably put all my money on Maxi-Mist Lite Plus spray tan gun. One glance and you appreciate the simple and compact design. The ability to combine hi-tech components to create a flawless and straightforward spray gun is what made me love this spray gun model. First, it is an HVLP spray gun so I never have to worry about messy leaks. The turbine motor is quiet, in fact, the quietest of all models in my opinion. Most of the inbuilt features are set to work spontaneously, leaving the user to only adjust the tan spray patterns. Its ergonomic design includes a carefully concealed control knob. This knob allows you to vary the spray pattern by adjusting the fan size. The fan size oscillates between 4-inch and 6-inch blades. It has air caps that control spray patterns to prevent overspray and leaks. The airflow is automatically trigger controlled. It packs so much power that it can also be used as a blow dryer. The entire application process is a simple aim and spray process; everything else is taken care of by the spray gun. Delivers a professional salon quality tan. Gets louder with repeated use. Noticeable bits of overspray with continued use. This spray tan produces a more natural looking tan. Apart from this, everything else is pretty standard. The tanning kit includes designer tan solutions. This would be my go to tanning kit if I am looking for a contrasting golden tan. The tan solutions allow you to go as dark as you want and they are completely parabens-free. In addition, the tan solvents are developed with aroma-guard technology to mask the obvious smell of tan. Maxi-Mist Lite Plus spray gun is lightweight and compact in nature. It features a micro-whirlwind mechanism to release fin continuous tan mists for a spotless finish. The turbine motor is reasonably powerful to ensure there is consistency in the spray patterns. The solvent and motor compartments are designed with rust-free components. This makes them easy to clean and store for your next tanning application. It includes nose filters for nasal protection against the tan solution. It’s quick airflow switch allows you to guide a fine mist out the nozzle to create even tan results. Perfect for a subtle even skin tan. Quiet application and perfect for residential places. Requires repeated application for tan to be noticeable. Has a shorter lifespan compared to other spray tan guns. Frequent clogging of the spray airways. I think you can already tell my best spray tan machine from the four I have reviewed. First things first, I would not buy anything below an HVLP spray gun. That said, I can confidently say the Black Fascination FX Spray gun is the best. It has the tiniest body of the four making it ideal to carry in my luggage bag. Though the construction is simple and straightforward, this spray gun is quite powerful. It packs insane amounts of power; the spray fan is adjustable and is very silent while in operation. The Black Fascination FX Spray tan gun is designed to be automatic in almost all processes. I only need to adjust the spray pattern and the rest is taken care of. I hope you found this review useful. Please share the review with your friends on social media. We also welcome your opinions in the comments section.